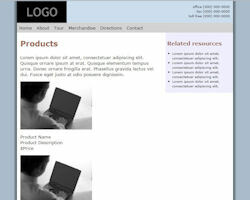 I provide a range of website design services to suit the needs of small businesses. Below are some of the techniques and practices I have found useful to consider when developing the specification for a website. All of these techniques and more can be employed as needed to develop a website that suits your business. 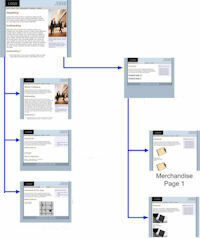 I will provide the structure and linkage for the various pages that make up the website. 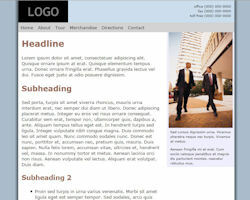 This includes the basic page structure common to each page in the site along with the common set of links and menus for each page. These are typically based on templates I have access to. These templates are customized to have the look and feel agreed to with the customer and to contain the number and type of pages agreed to. As important as the content on the pages is how to present the content so people and most importantly search engines will see and appreciate the content. Understanding Search Engine Optimization (SEO) is an important part of how the content is presented on the web site pages. Using page Meta Data, placing words in different HTML tags, placement on the page and many other factors can improve the SEO of a web site page. A well designed page with proper SEO will tell search engines that your page is the best place to send people for the key information on your web page. People find websites wall papered with large pictures hard to read because they constantly have to scroll over the big pictures. If you shrink the pictures to make the site easy to read the details in the pictures is hard to see. Also large pictures directly on the site slow down the loading of the pages. There are several techniques I can apply to address these issues. 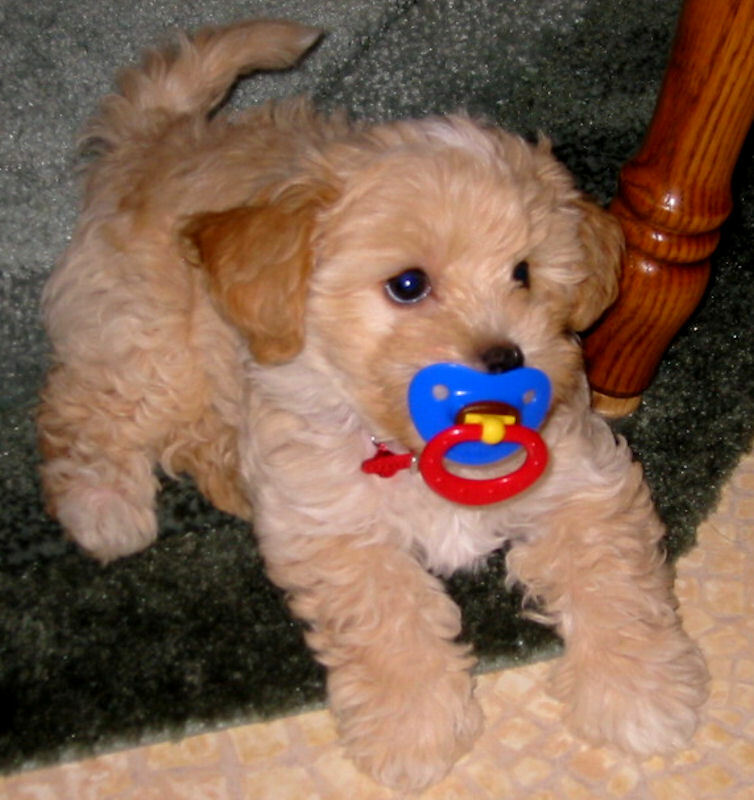 For a picture that is integral with the test I typically provide a small thumbnail embedded with the test and allow the user to click to see the enlargement (see puppy to the left). The thumbnail should be as small as practical to allow the reader to appreciate the content of the picture. To see more of the cute puppy click the picture to the left. To keep the reader from losing their place I typically open the enlarged picture in a new window. To keep the user from having too many open windows I will close the pop up window when the user is done looking at it. Slide shows like the one at the top of this page are a good way to tell a story about a product or your company without using up too much page real-estate. They can be of any size, with or without captions. 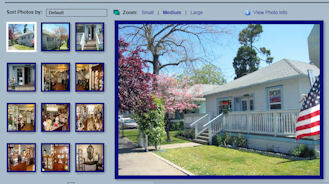 They can include navigations controls or thumbnail menus to allow users to select specific pictures. Online photo albums like the one to the right are a good way to represent a set of pictures that need to be viewed as a whole entity. They include tour photos. Photos about an event your business holds or other special events that happen at your business. They are usually opened as a separate page from a menu item or button on a page in the website. I can work with you to develop logos for the website or custom graphics to be used as part of the web page headings or backgrounds. Quite often they will be based on graphics you may already have on business cards, signs or stationary. If not I can work with you to identify and acquire commercial graphics that may be appropriate and customize them to make the logo or other graphical elements you may need. 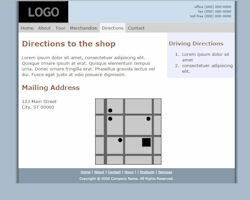 On a web page it is possible to place an image map such as the schematic of a website to the right. This is basically any graphic picture that suits you. It is then possible to indicate regions on the picture that when clicked will result in some action. 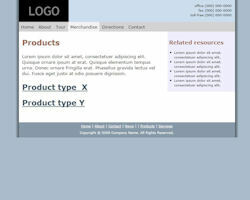 For example by clicking on the image the user is able to navigate to a specific point in the website or to pop up an image. In the Remember When website I have a map of the mall and the user can click on the map to go to the listing for the dealer in that location. You could also have a picture of your entire family of products and have the user click on a specific product to see details of the product or take you to a page to purchase that product. In the example to the right if you click on one of the pages it will pop up a picture of the page. It could just as easily have taken you to that page. I can help out sell your products through your website. I can help you acquire the infrastructure you need to do online sales and build the product listings. If you already have credit card processing for your business it is usually possible to use this for the online sales. If not I can work with you to get credit card processing for your online purchases. I will also list your products in shopping search sites such as Google Marketplace. You will need to be able to provide the resources to receive orders from the website and process the shipping of the product. 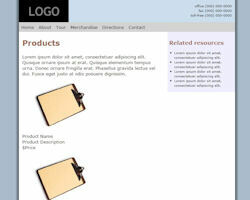 For online sales you typically need a separate page for each product to be sold. This is to be compatible with the requirements of shopping search sites like Google Marketplace. The interface to purchase a product can be as simple as a buy it now button or a set of tables to customize the product before you buy it. The online sales interface will also charge sales tax as appropriate and provide calculations for shipping. Setting up online sales for a small business may initially sound like a no brainer. You build the website and the orders will start to pour in from the internet. If what you are selling is a tee-shirt with a cute picture and phrase, a cool hair bow clippie or a way cool decorated sandal it may be hard to turn this into the next big internet only sensation. The internet is big and wide and there is a lot of competition out there. If your product is not special or rare it will take a big promotional budget to make it the next internet sensation. Unless you do have a truly unique product I would recommend a small business use online sales to supplement your local business. A simple online sales site can be set up for a reasonable price and just a few online sales will recover this cost. From then on your online sales are extra income for your local business. The infrastructure used to host your website is an important consideration for your web site. While I develop the web site content you will need a commercial web hosting company to actually host your web site. I can arrange web hosting packages appropriate for the type of website you want. The commercial web hosting companies charge a monthly or yearly fee to host the web site. This fee will be paid by the business owner. Most of the cheaper web hosting packages set limits for the size of the web site and the traffic to the web site. Many web site designers don't worry about the size and traffic limits and just sign the user up for an unlimited hosting package. Since the business owner is paying the hosting fees it is not a big concern to the designer. However when I design a website I feel it is important to consider the limits of the different hosting packages available to insure you get the site you want at the lowest practical web hosting fee. Depending on what you need I may be able to get free hosting for your site and if not will insure you are only paying for the services that your individual site needs. As part of my normal maintenance of the web site I will track the statistics to insure the website traffic and size is staying within the contract limits. You will retain rights to all the web content I develop for you and the hosting package for your site. Many people fret that all the cool domain names are taken. Without a cool domain name how will people find my web site. While it is true that most of the cool domain names are already taken it is not a big issue for a local business. 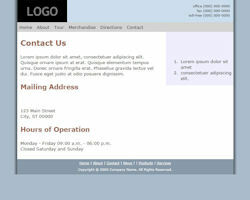 While people may directly type in a web address for IBM or Apple and expect to go to their website. For small businesses they are less likely to type in JoesLandscaping.com and expect to go to the Joes landscaping they know is in Newman CA. and not the Joe's landscaping in Dayton Ohio. For local businesses they find the website by first doing a search. As part of my work I will work with you to come up with a domain name that suits your business and is still cool (and available). My web presence work will insure that most search results will show a link to your website. In all cases you will own all rights to the domain name.